Suitable for hand wash, regular and semi-automatic washing machines. Oxi High Foam detergent is the perfect choice for hand wash and both regular and semi-automatic washing machines. With only a small amount, you can guarantee clean and fluffy garments. The detergent has been carefully and attentively manufactured to protect your hands from irritation and your garments come out soft and stain-free. 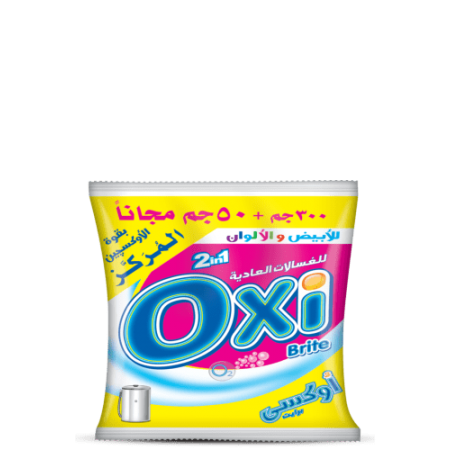 There is absolutely no need for any additives as Oxi contains its own bleaching agent, softener and whitening agent. With both cool and warm water you will get the perfect result you wish for in very little time with a splendid incomparable scent and feel. The packages come in different sizes and at very affordable prices; the perfect combination of quality and affordability.